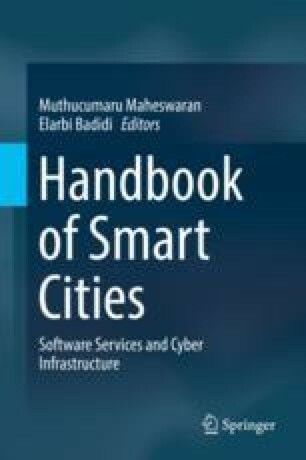 Interoperability of software services is one of the main challenges of smart city environments, since there is a huge number of interconnected small devices (Internet of Things) which implement and provide a wide variety of fine-grained software services. Classical approaches, such as Service Oriented Architecture (SOA) and RESTful APIs, in which both interacting services share the same data schema, usually lead to a coupling problem, since a service cannot change the schema of its messages without changing it as well in the services with which it interacts. This chapter proposes an asymmetric interoperability approach, in which the schema used to produce a message does not have to be identical to the schema of the messages expected by the receiver. This asymmetry in interoperability is based on the concepts of structural compliance and conformance, which state that schemas need only be compatible in the message components that are actually used and not in the full message schema. This reduces service coupling and allows a service to interact with others, which send or receive messages with different schemas, and to replace another one with a new schema without impairing existing interactions. Simple models of interoperability, coupling, adaptability, and changeability are proposed to justify the usefulness of the compliance and conformance concepts. A few implementation examples, using JSON, are also presented.